The HBL Pakistan Super League has grown stronger with every event. This is not only the unanimous opinion of the local and foreign cricketers or the spectators or the pundits of the game, this can be established by carrying out a statistical review of one of the world’s most competitive and challenging leagues on the planet. 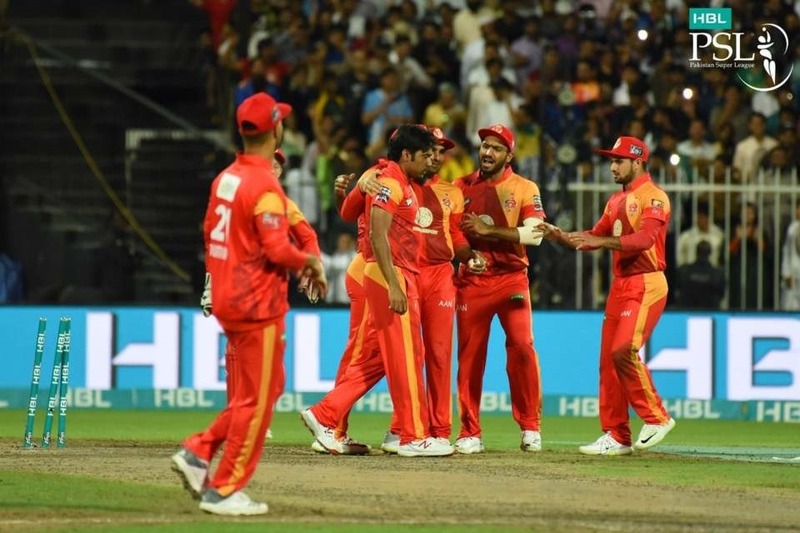 The most successful team in HBL PSL’s brief history is Islamabad United, which won titles in 2016 and 2018 and holds a success percentage of 59.67 after winning 19 out of 32 matches. 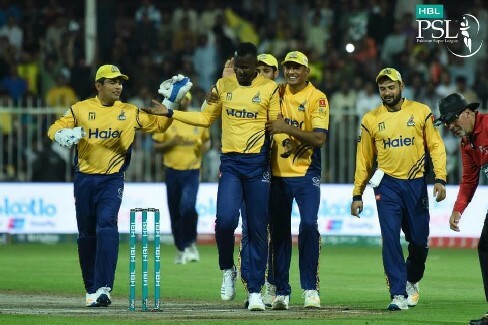 2017 champions Peshawar Zalmi are the second most successful team, with 19 victories in 34 games. 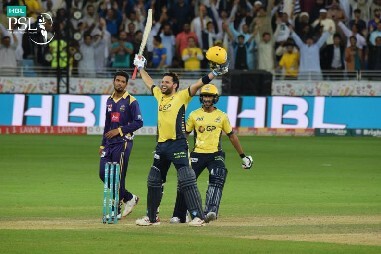 Two-time losing finalists Quetta Gladiator (56.66) are third, with 17 wins out of 31 matches. 203 for eight 8 in 20 overs is the highest total in HBL PSL, which was posted by Gladiators in a successful run-chase against Lahore Qalandars in the first edition of the PSL in 2016. Qalandars batted first and scored 201 for two in 20 overs, but Gladiators chased it on the last ball of the match. The lowest total belongs to Qalandars, who were bowled out for 59 against Zalmi in Dubai in 2017. 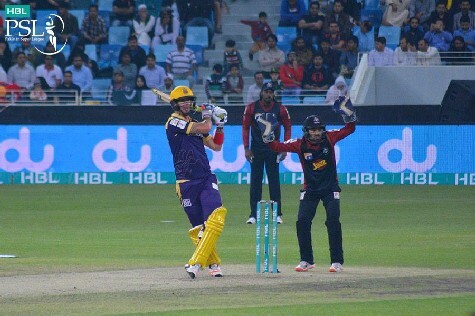 Gladiators hold the record for the highest total in a PowerPlay – 77 for one against Qalandars during a successful run-chase of 202 in Dubai in 2016. 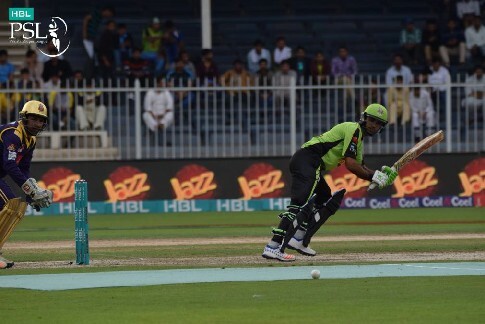 The next highest score at the six-over mark is 75 by Qalandars against Gladiators in Sharjah in 2017 and by United against Karachi Kings in Dubai in 2018. With 929 runs at an average of 29.96 and a strike-rate of 133.28, Kamran Akmal is the most successful HBL PSL batsman to date. Zalmi’s Akmal is also the only batsman who has struck two centuries. The most prolific foreign batsman is Australia’s Shane Watson with 684 runs at 29.73. 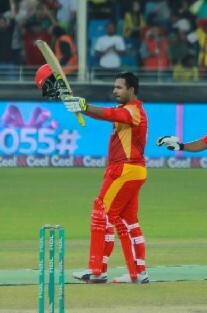 Watson played the first two tournaments for United and the last for Gladiators. There have been only three centuries in the HBL PSL. Two of them by Kamran Akmal and one by Sharjeel Khan of United. 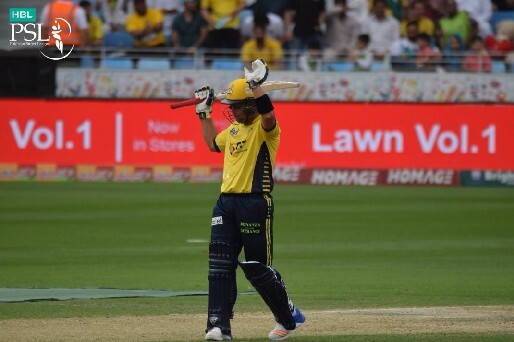 Akmal scored his first hundred (104 off 65 balls) against Karachi Kings in Dubai in 2017, while his second (107 not out off 61 balls) was against Qalandars in Sharjah in 2018. Sharjeel’s century (117 off 62 balls) was against Zalmi in Dubai in the inaugural edition and remains the highest score in the tournament. 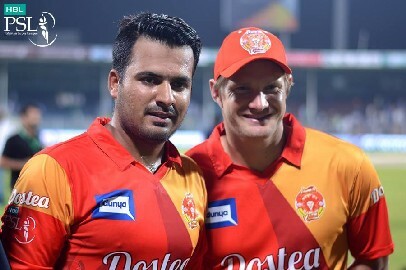 153 runs opening stand between Watson and Sharjeel for United against Qalandars in Sharjah in the inaugural tournament remains the highest partnership for any wicket in HBL PSL to date. The next best is by Zalmi’s pair of Mohammad Hafeez and Dawid Malan against Gladiators, also in Sharjah in 2017. The most successful pair, however, has been Hafeez and Tamim Iqbal, who have together posted 431 runs in nine innings for Zalmi. 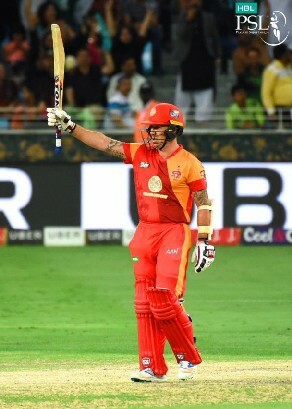 The batsman with the highest strike-rate among those who have scored, at least, 200 runs in the tournament is United’s Luke Ronchi. He has piled 435 runs off 239 balls at a scoring-rate of 182.00. Ronchi only played in the 2018 tournament and left a huge mark after clubbing 51 fours and 24 sixes. The next most destructive batsman is Shahid Afridi, with 311 runs off 188 balls at a strike-rate of 165.42. However, the batsman who has hit most sixes in the tournament history is Kamran Akmal (49), followed by Watson (43). The HBL PSL is known for big hitting as fours and sixes have galore in the three events to date. Before the first ball has been bowled in the tournament, the tournament has already produced 1892 fours and 920 sixes from the bats of some of the finest players in the world. Kamran Akmal has hit the most fours and sixes. He has struck 85 fours and 49 sixes, a tournament record on both counts. 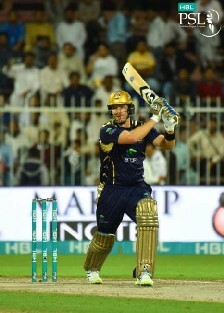 Shane Watson is second on the list of batsmen with most sixes – 43 – whereas Ahmed Shahzad with 74 fours is second on the list of batsmen to hit most fours. 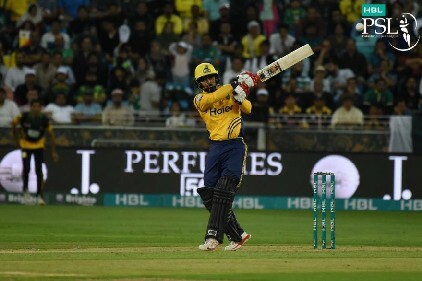 The fastest 50 in the HBL PSL was scored off just 17 balls and came from the bat of Zalmi’s opener Kamran Akmal in the eliminator against Kings in Lahore in 2018. 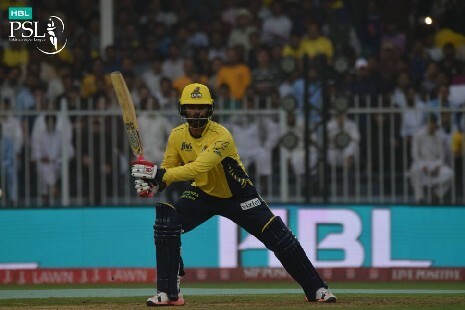 Akmal finished with 77 off 27 balls as Zalmi qualified for the final. The only other batsman to score 50 in less than 20 balls is United’s Luke Ronchi. He took 19 balls to reach half-century against Kings in the Qualifier in Dubai in 2018. 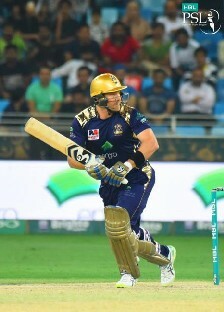 Watson has never been dismissed for a duck in the HBL PSL and holds the record for batting most innings without getting out on naught. The next batsman with most innings without a zero is Ravi Bopara, also an overseas player. Among local players, Misbah-ul-Haq and Anwar Ali both have batted 19 innings without a naught. The most successful bowler in the history of HBL PSL is Wahab Riaz. He has collected 48 wickets at an average of 16.50, with an economy of 6.75. The left-arm fast bowler has played all the editions for Peshawar Zalmi and was the driving force behind their title win in 2017. 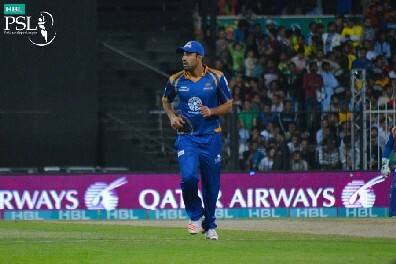 The next best is United’s Mohammad Sami with 37 wickets at an economy of 6.55. The overseas player with most wickets is Watson, bagging 22 dismissals. There have been five five-wicket hauls in the HBL PSL with the first one registered by Kings’ Ravi Bopara. He finished with six for 16 runs against Qalandars in Sharjah in 2016. While four more bowlers have taken a five-for in the tournament, Bopara’s figures have not been bettered. Shahid Afridi (Zalmi) and Mohammad Sami (United) were two other bowlers who claimed five wickets in 2016. 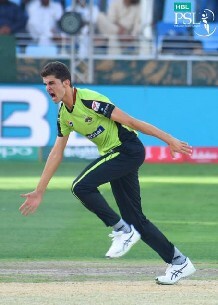 No bowler managed a five-for in the 2017 edition whereas two, Umar Gul (Multan Sultans) and Shaheen Shah Afridi (Qalandars), pouched five-wicket hauls in 2018. Shahid Afridi, who played the first two tournaments for Zalmi and third for Kings, has bowled five maiden overs in the PSL, which is most for any bowler. Next best is Mohammad Amir, who has delivered four scoreless overs for Kings. The tall left-arm fast bowler Mohammad Irfan has bowled three maidens for United and Sultans. Zalmi’s wicketkeeper Kamran Akmal has inflicted the highest amount of dismissals behind the stumps. He has 30 dismissals (23 catches and 7 stumping). The player who has taken most catches as an outfielder is his younger brother, Umar Akmal, grabbing 15 catches. 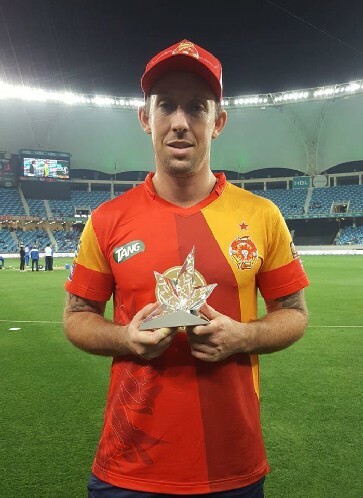 Luke Ronchi may have appeared in only one season so far, but his number of player-of-the-match awards is more than anyone else. He has bagged five in 11 games in the United’s successful campaign in 2018. Three players have bagged the award on four occasions – Zalmi’s Kamran Akmal, Gladiators’ Mohammad Nawaz and United’s Mohammad Sami.